It's that time of year again! 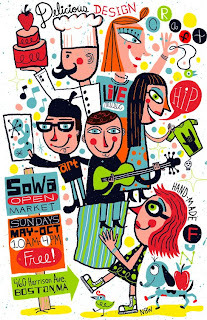 Sowa Open Market is gearing up for its 7th season and will kick off THIS weekend, May 15 + 16, from 10am to 5pm. This year Sowa will be in a NEW location (just a block away from the old one) at 460 Harrison Ave. So mark your calendars, set your GPSs, and we will see you there! Exciting! Good luck to all you BHer's who'll be there for opening weekend. Excited for my SOWA debut on June 13th. Just bought my 10 x 10!